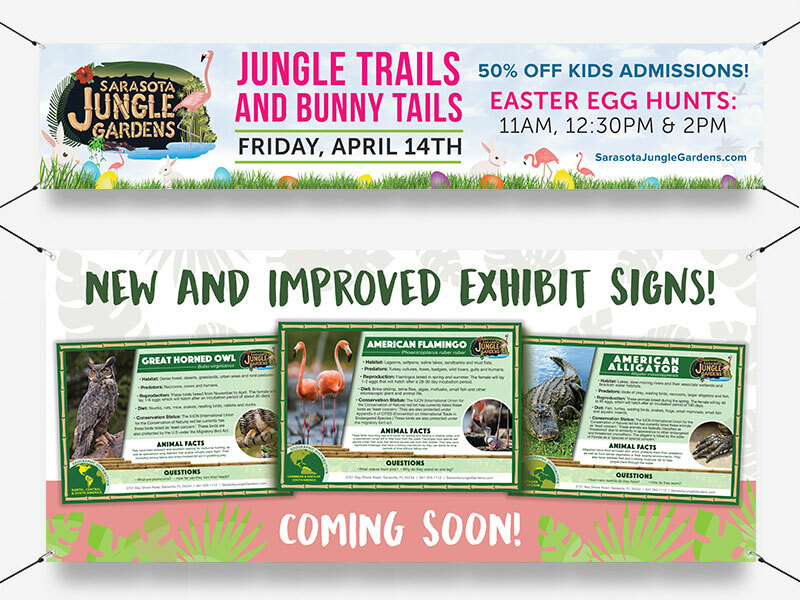 Sarasota Jungle Gardens | Commit Marketing | A Full-Service Marketing, Web Design & Development Firm Located In Sarasota, FL. Nestled on the bay of Sarasota, this family-fun destination is one of Florida’s longest continuously operating attractions. Established in 1939, Sarasota Jungle Gardens evokes memories of Florida days gone by, full of flora, fauna and fun, yet exciting for today’s families, locals, and tourists alike. After an introduction, the team at Commit presented ways to work together and support communication efforts with custom design and content for upcoming campaigns. 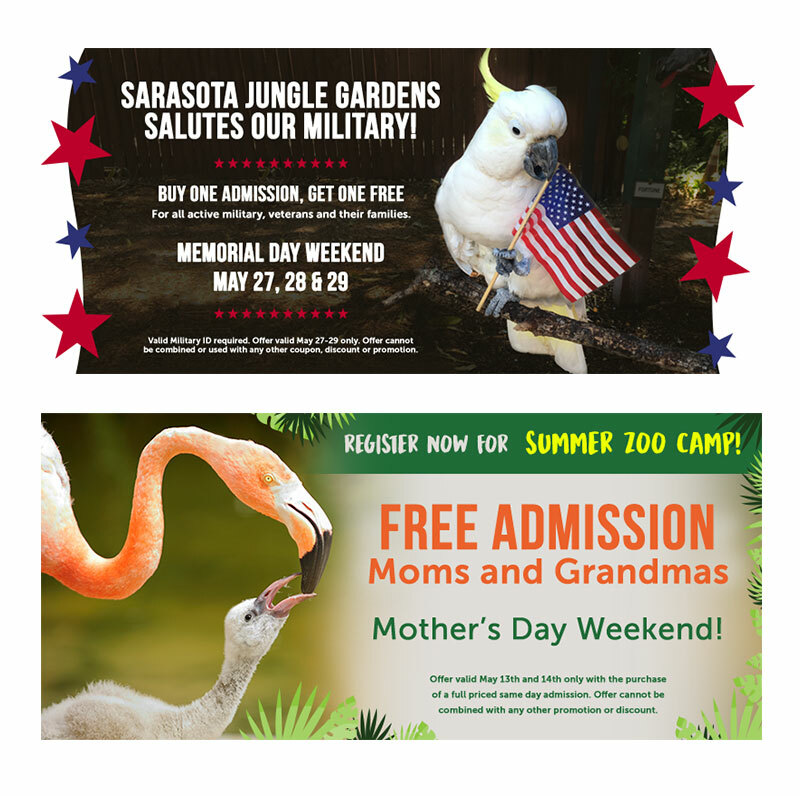 With prime locations secured around the Sarasota area, we designed outdoor signage, banners, and billboards to drive their message for upcoming events. To reach the visitors on their website and through email marketing, we wrote content and designed graphics that would be featured online. With each message, design and campaign set, the team at Commit designed Facebook graphics that were used for paid ads and posts to promote each event.